In the preceding post of this series, I alluded to some negotiation regarding the book’s content. In this instalment I shall go into some detail regarding the general dialogue shared between myself and the publisher. 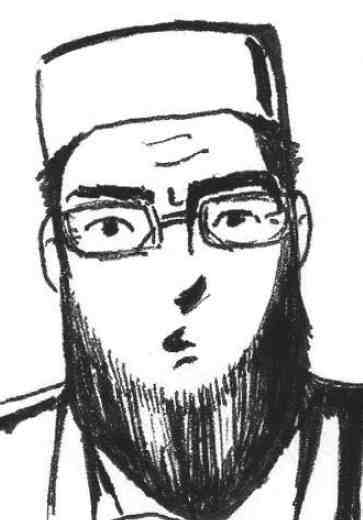 One of the weaknesses of my manuscript – bearing in mind its purported target audience – was that quite often the frustrated reformer/sociologist in me leaked out through the character of Imam Munieb. Thus, scenes of youthful exuberance from the boys would sit alongside reflective outpourings the like (but not the quality) of which might be found in Atif Imtiaz’s ‘Wandering Lonely In A Crowd‘ which reduced the poor beleaguered Imam to a vehicle for those thoughts. This was all too apparent to the outgoing editor and her panel of reviewers. Not surprisingly, this was one of the first features to be lost from the script, and with my full blessing! There were also some minor issues regarding the Imam’s speech, which was an interesting topic in itself. For one thing, notwithstanding the genuine uniqueness of Imam Munieb (at least in my experience), some of his characteristics, including his speech, were based heavily on brothers known to me (not imams, I hasten to add!) It was probably due to the fact that these personality traits were not based solely on any one person that I inadvertently allowed his speech quality to fluctuate. One finds that even after the imam’s verbal makeover, he is a genuinely articulate speaker in his second language, but that his word choices and/or grammatical structures are occasionally limited. Furthermore, the Imam (prior to editing) had a greater propensity for slang than the, er, ‘reformed‘ Imam. The main aspect upon which I dug in my heels related to the book’s ‘prodigal son’. I will not elaborate too much on this because it is central to the plot, but I shall outline at least the nature of the suggestion and my (polite) objection to it. It was simply this: that one of the characters undergoes a (positive) transformation – he is by no means the only character about whom this could be said, but his development is particularly poignant because it describes a movement towards his Lord. It was suggested that this character should publicly reflect upon his transformation so as to put the reader in no doubt as to its significance. However, I felt that understatement was the appropriate pitch to aim for, and that the character’s development – whilst overwhelmingly positive – was more promising than complete. I also felt that the engaged reader would be up to the challenge of inferring my characters’ states; I have read a great many books that virtually instruct the reader about characters and situations, and leave nothing to be surmised. Without giving too much away, there was also an issue of family dynamics, and I felt that the proposed (somewhat) fairytale ending was not in keeping with the family I had described in the book. Sometimes we take baby steps though we know running to be superior; nonetheless, for one reason or another, we do the former. I was extremely pleased that the editor, Sister Fatima – who is vastly more experienced than I in this field – was open to my arguments and indeed agreed with my reasoning on these points. So, after a tidy-up here, a rewrite there, the momentum was building. I’d even signed a book contract by June (2010), so surely the book would be out any moment… wouldn’t it? The real Imam Munieb… er, sort of.